When it comes to having access to information, North Korea and America are worlds apart. One nation is totally closed, with the populace only getting what the media feeds them. And the people have no internet access. The other nation is wide open, with the populace having access to an endless stream of media options and with virtually universal internet access. 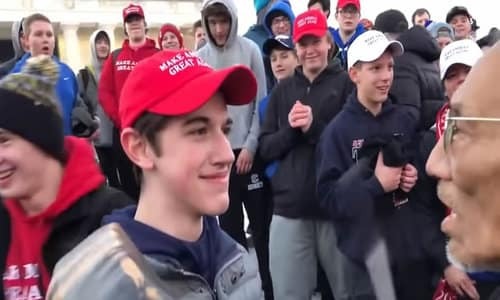 Conservative columnist Rod Dreher wrote, that, "in this case, the white Catholic boys in their MAGA hats appearing to intimidate a Native American elder serves as a useful club with which to beat the entire March For Life, as well as conservative Christianity in general. I'm not saying that it wasn't news, or shouldn't have been reported. But tell the whole story. Tell how Nathan Phillips [the Native American elder] instigated this thing, and how the boys appear not to have understood what was happening. Tell how Phillips's companion cursed them and hurled a racial slander at them. Talk about the Black Hebrews." Over at the New York Post, and coming from a different angle, Kyle Smith penned an op-ed titled, "How the media convinces us we're all outraged -- even when no one cares." In short, Smith alleges that lazy journalists can manufacture a widespread outrage by selective reporting. And, of course, we believe it. Originally published by AskDrBrown.org - reposted with permission.